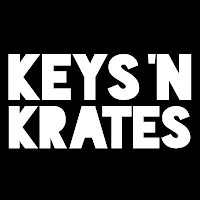 Keys N Krates have hit the road with the Midnite Mass tour in support of their latest EP. The Triangle is fortunate to be one of their many stops with a visit in Carrboro at Cat's Cradle this Wednesday, January 27. This three-piece group formed in 2008 in Toronto has evolved from a live hip-hop band into an intricate trio of producers and performers. Keys N Krates fall under the umbrella of EDM, but labeling their sound isn't that simple. They are comprised of Jr. Flo on the turntables, keyboard player David Matisse, and Adam Tune on the drums. On stage, they mesh electronic beats with live instruments, creating a unique sound and a captivating show. Adding to the entertainment, it's not unusual for the members to mix it up and trade roles, keeping the performances fresh and energetic. Keys N Krates are traveling with good company, being joined by Ganz and Hermitude for part of their tour. Stooki Sound and Jesse Slayter will be getting the crowd started for the Cat's Cradle show, which starts at 8:30. Tickets are $20-$22 and can be purchased at the Cat's Cradle website. Many halls are created to provide a catering service to specific cultural needs. And it gets very difficult to have a party at a hotel because the catering staff could not cook the traditional meals required by the client. But these venues in Los Angeles specialize in specific cultural needs.